There is nothing more romantic than a little time in the country at sunset. 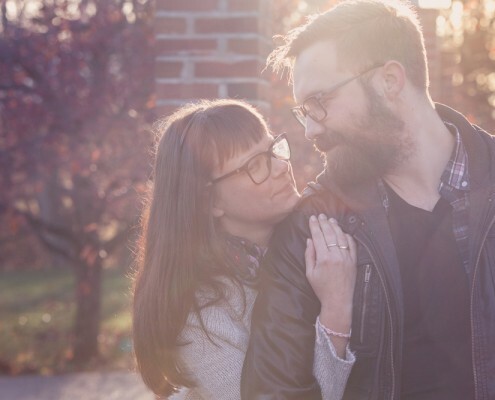 Check out more of Alicia and Ghislain's engagement session! There is one thing I can guarantee with July engagement sessions, and that is that I will sweat like a maniac. 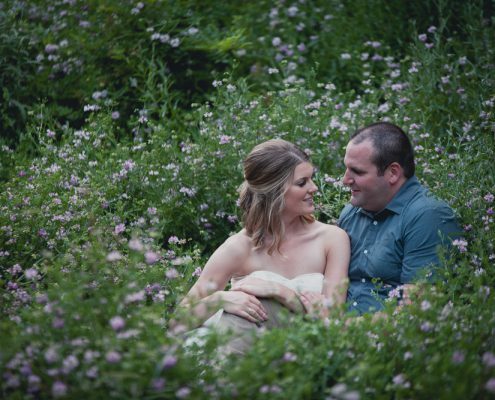 But the heat won't stop me from meeting up with couples like Molly and James for some romantic, whimsical photos. Because I love seeing the laughter and the love more than it bothers me to feel the sweat dripping down my face. 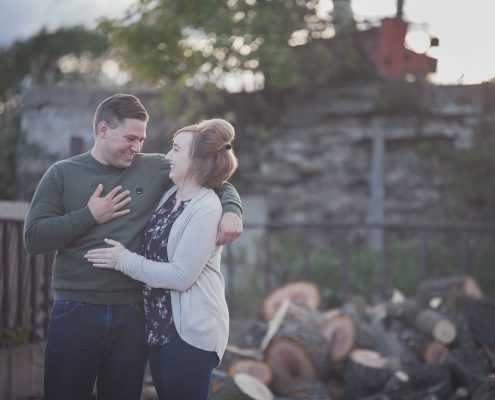 Check out the amazing photos we got of Molly and James's engagement session here! 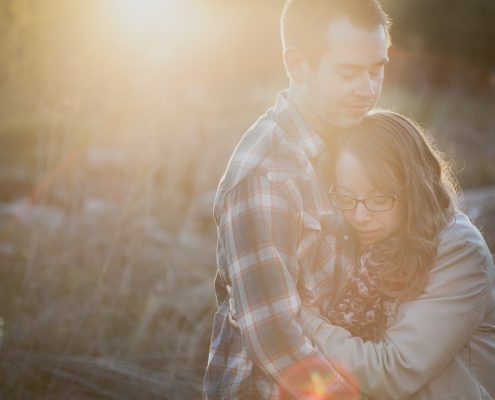 My session with Brenna and Jordan was like one long, silent conversation. They said so much to each other and about themselves, but without using words. Check out their photos here! Sometimes things work out perfectly. 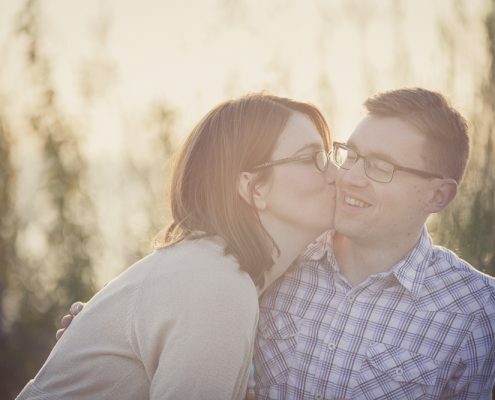 For example, Amy and Mike's sunset engagement session. They snickered, snuggled, and smooched, and I snapped away. Take a look at the gallery here! Winter finally arrived, and you know how much I love winter portraits! Not only did I get my winter photo fix, but I put a good few hundred of my day's steps in photographing Emily and Sean all over Thornbury. Check it out! I had a amazing time getting to know Jenn and Chris (and Farley). It was cold, but I almost didn't notice. 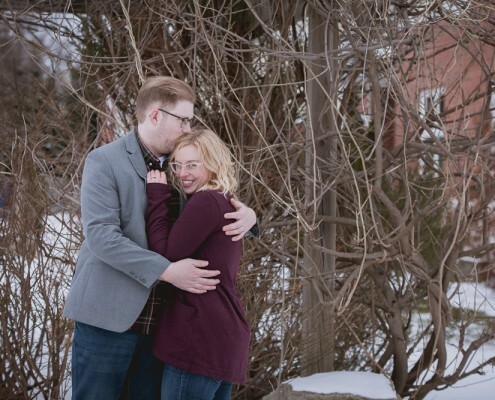 These two have such warm, positive personalities which translated well in their engagement photos. Click the picture to see more from their session! 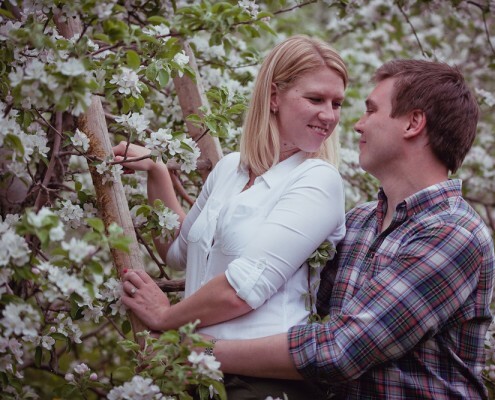 Amy and Tom are getting married in August, and I just couldn't wait to shoot their engagement session. We met in Wiarton, Ontario, and photographed them being themselves with their little dog Gus the Pug. Read this for more.